I've cried a lot already this week. And it's only Wednesday. There was lunch at my parents' house on Sunday after church. We had pizza with my parents, Karen, Chris and Catherine, just like we have done many other Sundays, but this time there was a sad cloud hanging over the house. It was our last Sunday lunch there since the house is about to be sold. I remembered Sundays long ago in that house with my grandparents and the whole extended family and then more recent family dinners with Joe and the new babies in the family. I started crying in the kitchen as the enormity of it all began to sink in. There was my office at work on Tuesday, still unpacked from when I switched offices just before Thanksgiving. My stress level had peaked and my mind was really wondering what it would be like to throw my computer out of my 3rd floor window. I started crying as I sunk into my chair while feverishly trying to organize the files I needed for the next day - all well after everyone else had already gone home for the day. There was the car this morning on the way to take Domani to my sister's house. I started crying when he said that he missed his Daddy. He replied by saying "I'll find a way to help you stop crying Mommy...here's a cranberry." There was New York Penn Station this afternoon as I was walking to catch my train and listening to a couple of new tunes that Justin had suggested to me. Who would have guessed that Watch Over Me by Alter Bridge is such a powerful little song. It caught me completely off guard and I started crying as I was walking down to Track 4 for the train to Newark. There was the cemetery this evening before I went to help facilitate our last grief support group of the fall at my church. I started crying as soon as I sat down on the bench in front of where Joe is buried. I sat listening to some tunes and cried a lot. And then I turned to a song which has been inspiring me again and again for the last month. It was helpful. Tomorrow is 2 years since Joe died. Tonight I changed the ringtone on my morning alarm to Rise Today for a little added inspiration. I have to go into NYC for work, a particularly challenging trip given that it will take me right to the neighborhood where Joe received many of his chemo treatments. 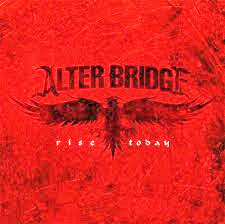 Perhaps it will be a "Rise Today on repeat" kind of day. Maybe I will even need some cranberries from Domani when I get home.